This young spotted calf elk stays in its hiding spot. 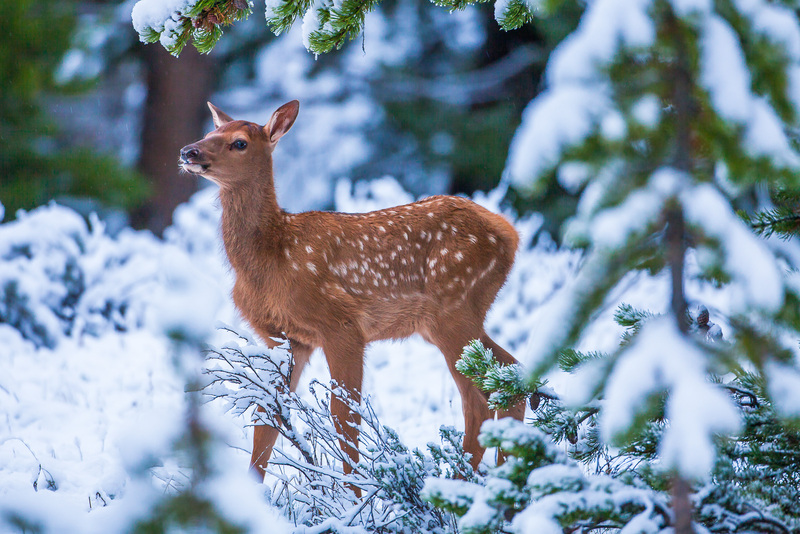 Mother elks will often look for a safe haven for their young to stay while they venture out to feed. Photo © copyright by Lance B. Carter.